Due to the low inventory in this area and the rise of “bank owned” homes, many buyers like yourself may come across these types of homes. They can be a good investment if you fully understand the process and have the time, money and patience. What is a Pre-Foreclosure? A pre-foreclosure is a property in the process of foreclosure but is still legally owned by the owner. What is a Short Sale? A short sale is when an owner is selling a home less than the mortgage owed on the home. Lenders may agree to take a short on the mortgage to release it for sale. This is a process before the property is actually foreclosed. What is a Bank Owned Home? A bank-owned or real estate owned (REO) property is one that has reverted to the mortgage lender after the home fails to sell in a foreclosure auction. Once the bank owns the property, it will handle eviction, if necessary, pay off tax liens and may do some repairs. What is a HUD Home? A HUD home is when a government-insured loan (FHA) gets foreclosed and the Federal Housing and Urban Development pays the defaulted loan off, and then puts the home on the market. Are Bank Owned Homes Sold AS-IS? Yes, all bank owned homes are sold “AS-IS” which means that the seller will not do any repairs to the property. Can I still perform an inspection and “walk away” if the house needs too much work? In most cases, the contract can not be contingent on a home inspection, and you can not walk away. There are some circumstances, where the bank will allow you to complete an inspection and “walk away” if needed. Be prepared to do an inspection and perform your own “due diligence” in advance before you make the offer. Will the bank accept an offer if I have a home to sell first? No, all offers must be “non contingent” regarding your home sale. Will the bank pay for the buyers closing costs? Most banks will not pay the buyer’s closing costs. However, there are some special programs through “HomePath” and other Fannie Mae foreclosures. Also, you may be able to add the closing costs to your mortgage and increase the offer price. Consult with us regarding this. Do all lenders and mortgage companies offer financing for bank owned homes? Depending on the condition of the property, the lender may or may not offer financing. There are special programs for renovation type loans and some banks will provide their own financing. Consult with your lender regarding this. Does the bank provide a marketable title and survey to the property? In most cases they would not provide a title and or survey only a warranty deed. This additional cost could be between $1,000 and $1,500 or more. Please consult with your attorney. How are offers made for bank owned homes? We would make the offer for you and send you an necessary paperwork to sign. Most offers require a lot of paperwork and made online and through electronic signature in some cases. Are there deadlines to submitting an offer? Yes, many times there will be an offer or bid and paperwork deadlines. We will let you know of these deadlines. Can we adjust or change our offer once it is submitted to the bank? Most times the offer will be “highest and best” especially, when there are multiple offers or an auction style bid. We would consult with you regarding this. How long does it take the bank to decide on the offers? It can take days or weeks. Please be patient!!!! Do I have to show a bank pre approval or proof of funds with an offer? Yes, no exceptions. Will the property taxes reduce once we purchase the property? Probably not, as the property taxes are based on many factors, and the assessor may not adjust to the lower purchase price. Be prepared!!! How long does it take to close on a bank owned home? It depends, but the typical time once the contracts are accepted by all parties is about 60 days. Once the offer is made can I continue to look at other homes and make an offer on another home? Yes, you are not obligated to purchase the home, until the bank agrees to accept your offer and you can cancel the offer at any time. Most of the clients I help need to finance their home purchase. Even though I always recommend that you pay “cash” if you are able, in reality, that is not what many home buyers are able to do, especially first time home buyers. I always recommend that a you should obtain a “pre-approval” letter from a “local” lender or bank before you search for a home. Many people I meet do not always understand the “true” cost to buy or finance a home in Central New York, and many “out of the area” lenders mis calculate some of the costs involved. Calculating your true monthly mortgage payment is very important. Many online calculators on sites such as “Zillow” are not accurate when used incorrectly, as many home buyers do calculate the correct property tax rates or other fees associated with the mortgage process. A “local lender” should be able to provide you with a breakdown of your monthly mortgage payment. I am going to give you a “guide” to follow, before you speak to your local lender or bank, and please understand this is only a guide and estimate, but this will give you a better understanding of the mortgage process. First, you should understand what type of mortgage you are applying for. Generally speaking there are 4 common mortgage products. Conventional Loan – Typically for 30 years, but can be a 20, 15, or 10 year mortgage. The typical down payment required starts at 5% of the purchase price, but many borrowers apply 20% as a down payment. Some local lenders do offer a 3% down payment conventional mortgage, however, these are special programs with certain requirements. VA Loan – This is a ZERO down payment mortgage loan in the United States guaranteed by the U.S. Department of Veterans Affairs (VA). The loan may be issued by qualified lenders. This is typically a 30 year mortgage for American veterans or their surviving spouses (provided they do not remarry). USDA Loan – This is a ZERO down payment mortgage loan from USDA Rural Development Guaranteed Housing Loan Program. It is only offered to rural property owners by the United States Department of Agriculture, and you must meet certain requirements. There are limited properties available in Onondaga County that would qualify for this loan. This program is more popular in Oswego, Madison, and Cayuga County. $3,500 as a down payment. To purchase a $100,000 home in The Greater Syracuse NY area with an FHA loan you may need $10,000 to $12,000 in total costs. (estimate). What if I do not have the money for closing costs? That is a great question, and under FHA loan guidelines, you can add up to 6% of the approved closing costs to your mortgage. So, in this example, you could add $6,000 to the price. The new purchase price would be $106,000. The seller would still receive $100,000, but they would allow you to add the closing costs to the purchase price. Another option would be to get “gift” money from a family member. There are specific rules regarding this, so please consult with your mortgage lender. So what would the monthly payment be based on $106,000 with 3.5% down payment, assuming a 4% interest rate on a 30 yr FHA loan? The estimated monthly mortgage payment would be $940.00 (estimated), which includes principal, interest, taxes, and insurance. This does not include any private mortgage insurance fees. Custom Built 3,600 Sq/Ft Colonial, Wooded 2.5 Acre Lot, Canastota NY Real Estate - Contact Bob McTague at 315-882-6610 for more information about this home located in Canastota, New York. Canastota, NY Neighborhood - Amazing value for this beautiful custom built Colonial perfectly situated on a 2.5 acre wooded lot surrounded by birch trees, and located close to Syracuse and Utica, parks, shopping, major highways, and within the Canastota school district. First Floor Features - Step inside to this magnificent home and be greeted to the grand foyer. Gather, in the gourmet eat-in kitchen, featuring custom cabinetry, abundant counter space, hardwood floors, and stainless steel appliances. Entertain, in the large formal living and dining room with hardwoods and detail molding throughout. Relax, in the inviting and cozy family room with a floor to ceiling stone gas fireplace. There is also a study with it's own entrance and a half bath on the first floor. Second Floor Features - The second floor provides a luxury master suite with it's own double sided fireplace, sitting room, a huge walk in closet, and a glorious master bathroom with an oversized Whirlpool tub. Enjoy the convenient 2nd floor laundry, another full bath, and 3 other large bedrooms with walk in closets. Basement Features - For additional living and storage space, the basement has been partially finished, and includes a walk out for access to the outside. Exterior - The exterior offers a 2.5 car garage, large garage/shed with a half bath and finished space, a custom deck, professional landscaping, and a private lot. 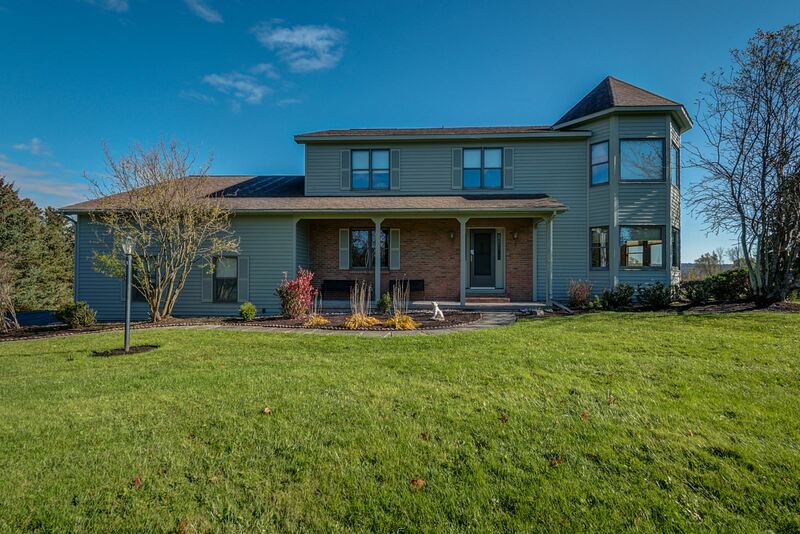 Manlius NY Home For Sale | 2.7 Acres | Great Views - Contact Bob McTague at 3315-882-6610 for more information about this home located in Manlius, New York. 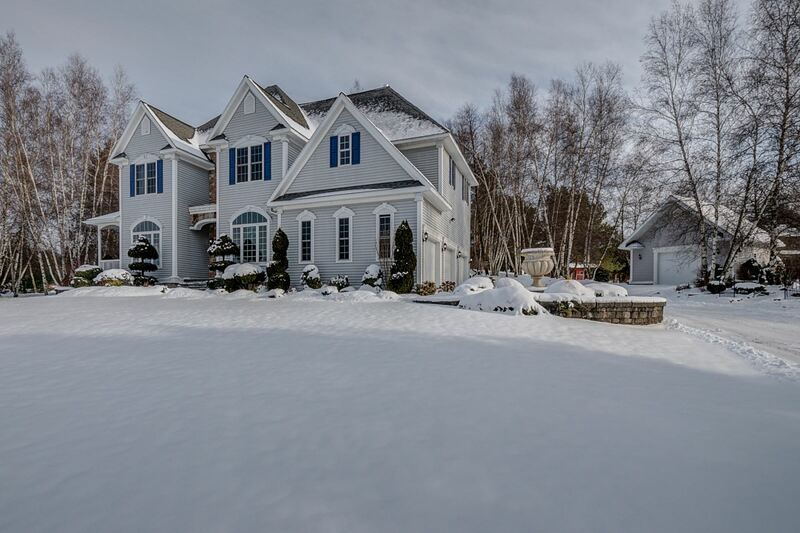 Manlius, NY Neighborhood - This spacious, 4 bedroom, 2.5 bath, 3,000 sq ft Colonial home is perfectly situated on a 2.7 acre lot with magnificent views and no neighbors behind for maximum privacy. Secluded in the Fayetteville-Manlius school district yet close to schools, parks, shopping, and all major highways. First Floor Features - The first floor features an open foyer, a formal living and dining room, an office, a family room with a fireplace, an eat-in kitchen with abundant cabinet and counter space, a 1st floor laundry, and a half bath. Hardwood floors fill the living space. Second Floor Features - The second floor provides new carpeting, a master bedroom and bath, another full bath, and 3 other good sized bedrooms. Exterior - The exterior offers a deck, a gazebo, an over sized driveway, covered front porch, a side load 2.5 car garage. Bob McTague of the CNY Agent Team of Howard Hanna Real Estate is the Top Listing Agent in the Greater Syracuse NY area. He helps over 100 sellers each year achieve their goals and maximizes their market value in Onondaga, Oswego, Madison, and Cayuga county. The Top Listing Agent, Bob McTague, offers exclusive Internet and marketing strategies to sell your home in 30 days or less, while reducing stress, and maximizing your profit. Contact Bob McTague today at 315-882-6610 or visit http://www.SyracuseCMA.com to find out what your home is worth in today's market. 2 Bedroom Waterfront Home, Year Round, Lake Ontario - Contact Bob McTague at 315-882-6610 for more information about this home located in Sandy Creek, New York. 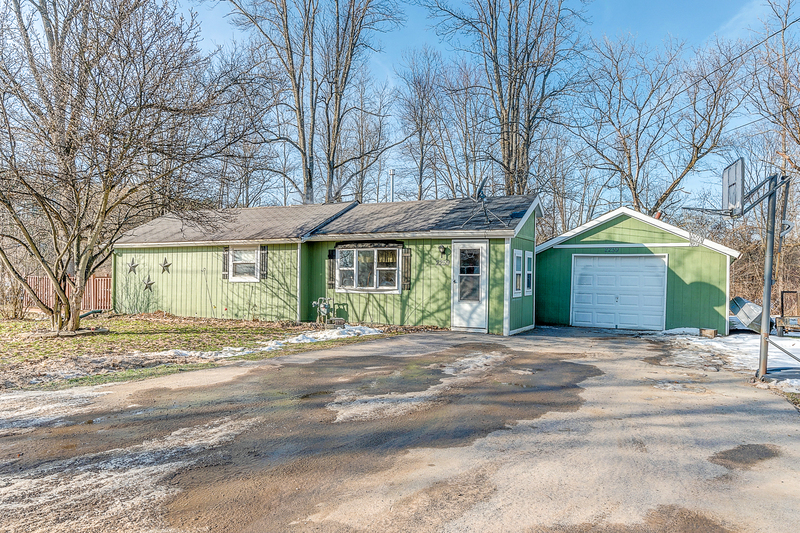 Sandy Creek, NY Neighborhood -This cozy and well maintained “year round” 2 bedroom, 1 full bath, Ranch home is located on North Sandy Pond boasting 50' of waterfront. Living Area Features - The living area features a large kitchen, a spacious and open living room with a large picture window that provides great views of the sunset and the water, 2 good sized bedrooms, and a full bath. Updates - This home was totally rebuilt since 1989, with a newer hot water heater, furnace, and roof. Exterior - The exterior offers a shed, protected dock for your boat, and a landscaped yard. - Contact Bob McTague at 315-882-6610 for more information about this home located in Clay, New York. Clay, NY Neighborhood -. 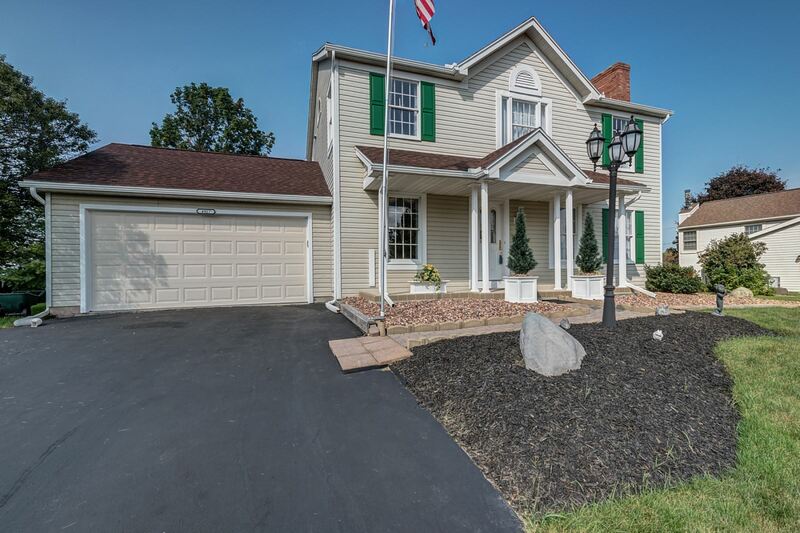 This beautiful and well maintained, 3 bedroom, 2 full bath Colonial is located in the popular "Fishers Landing" neighborhood, which is close to Cicero-North Syracuse schools, parks, shopping, and major highways. First Floor Features - The first floor features hardwoods throughout, a large living room with a gas fireplace, an open foyer that leads into a spacious formal dining room, an updated full bathroom, a first floor bedroom or study, and an eat-in kitchen with plenty of cabinet and counter space. Second Floor Features - The first floor features a spacious eat-in country kitchen with new flooring, a large living room with a wood burning fireplace, a family room with access to the backyard and deck, a formal dining room, 2 story foyer, and a half bath. Updates - Roof, furnace, and many other updates throughout. Exterior - The exterior offers a 2 car garage, low maintenance landscaping, a front porch, deck, and an open yet private backyard. Cicero NY Home, North Syracuse Schools, 3 Bedroom - Contact Bob McTague at 315-882-6610 for more information about this home located in Cicero, New York. 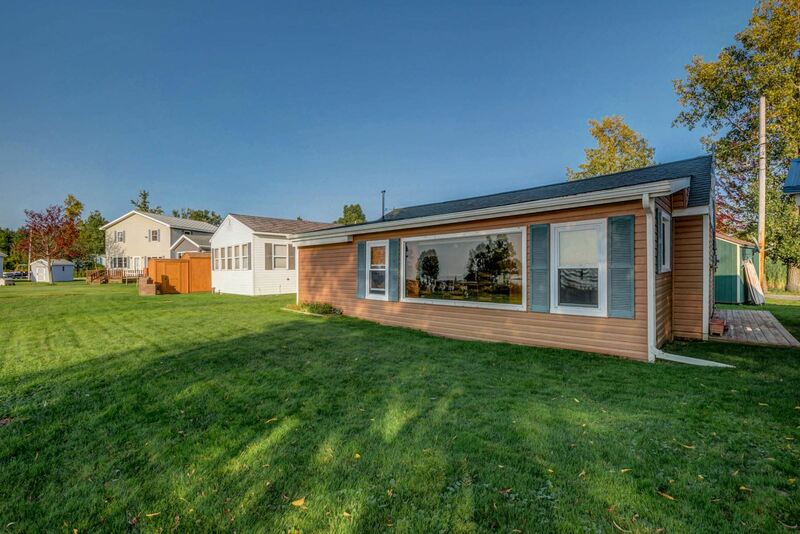 Cicero, NY Neighborhood - This beautiful and updated, 1,550 sq ft Raised Ranch built in 1989, is located in the popular "Lang Manor" neighborhood, which is close to Cicero-North Syracuse schools, parks, shopping, Oneida Lake, and major highways. Main Living Area Features - The main living area features a spacious kitchen with new flooring, a large living room, a dining area, good sized bedrooms, and full bath. Lower Level Features - The lower level offers a master bedroom or teen suite option with a another full bath, laundry room, and access to the 1 car garage. Updates - Newer windows and slider doors. Exterior - The exterior provides a fully fenced yard, a deck for entertaining, and a stampcrete patio.